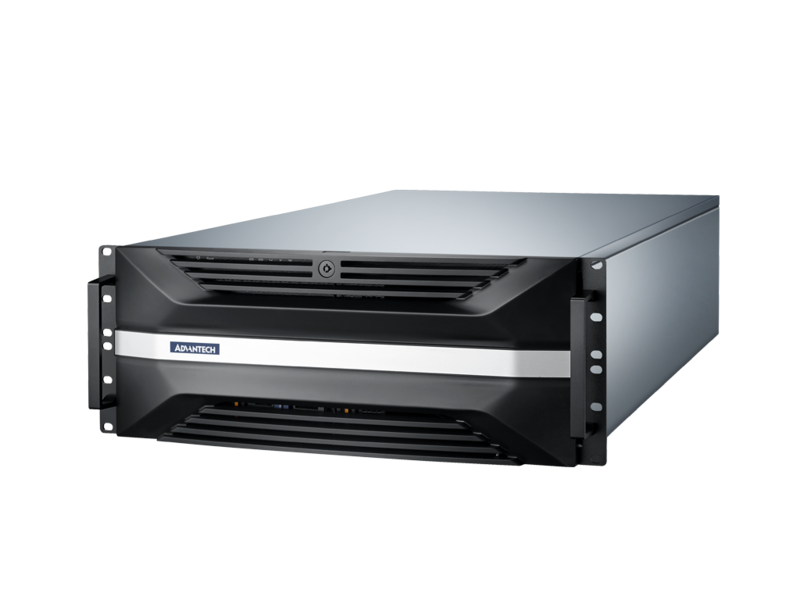 Taipei, 17th July 2018 – Advantech, a leading provider of embedded platform and intelligent server solutions, is now launching a broad selection of rackmount GPU Servers from 1U to 4U. 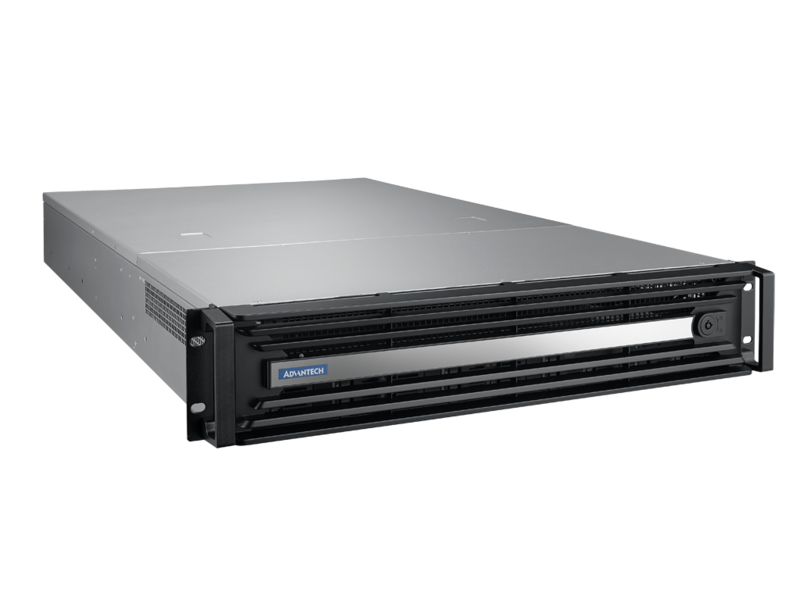 The SKY-6000 GPU server series are powered by dual Intel® Xeon® scalable processors and each of these highly scalable GPU-optimized servers support up to 5 NVIDIA® Tesla® P4 GPUs. IPMI management functions and smart fan control ensure better temperature control and thermal management environments. Every GPU pair includes one high-speed PCIe slot for highly parallel applications like artificial intelligence (AI), deep learning, self-driving cars, smart city applications, health care, high performance computing (HPC), virtual reality, and much more. With support for up to 5 pcs of half-height half-length (HHHL) GPU cards, or one full-height full-length (FHFL) double deck card, plus one full-height half-length (FHHL) GPU card, the SKY-6100 is designed for NVidia Tesla P4 HHHL GPU cards, making it the best choice for deep learning applications. With IPMI 2.0 support, SKY-6000 allows users to monitor, manage, and control servers remotely and receive alerts if any sensors detect device or component faults. In addition, event logs record important information about the server, which can be controlled remotely using the IPMI KVM. The optimized thermal design of the SKY-6000 series GPU servers separates CPU and GPU fan zones, making sure the GPU card is not preheated or thermally affected by any other heat source. Also with the smart fan control mechanism, fan speeds are controlled based on different CPU and GPU workloads and ambient temperatures. This feature lowers the acoustic noise of GPUs that have heavy loading but not CPUs. Dual Intel® Xeon® scalable processor. Supports up to 5 add-on cards. Rich I/O port support for I/O extension cards. Smart fan control mechanism and optimized thermal design. IPMI management including add-on GPU card temperature monitoring. 80 PLUS Platinum 1200W 1+1 redundant power supply. Supports up to 4 double size add-on cards. 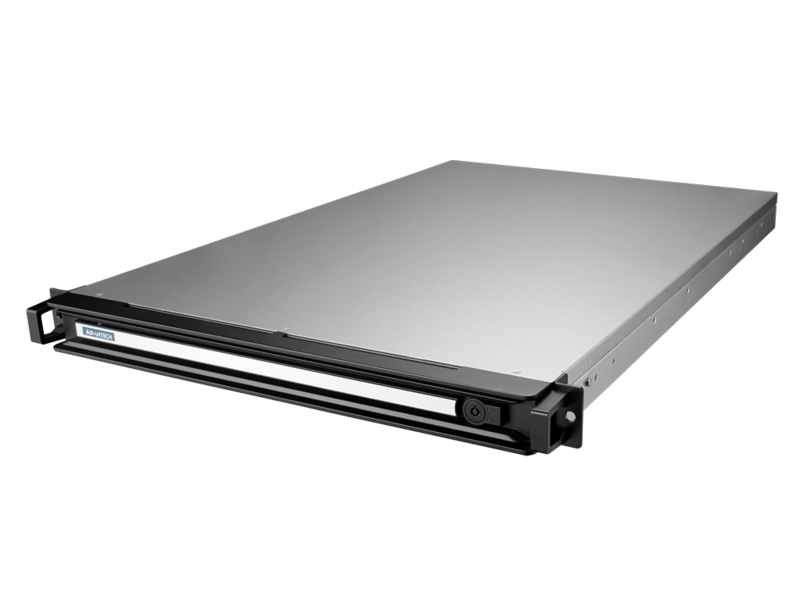 Front access: 8 x 2.5” SAS/SATA drive support for fast IO data storage. SAS3 drive support with optional RAID card. Dual 10G Ethernet high speed ports. 80 PLUS Platinum 2000W 1+1 redundant power supply. Front access: 8 x 3.5” SAS/SATA drive support for fast IO storage. SAS3 drive support with the optional RAID card. Extra two PCIE slots for add-on RAID and LAN card support. This broad selection of GPU servers is now available. For more information about these or any other Advantech products, please contact your local sales team or check the details on our website (www.advantech.com).